New developments in DNA technology are having a huge impact on medical genetics, forensic identification, and exciting areas of research, including ancient DNA studies. But the technology is also aiding a growing industry in genetic genealogies, where human identity is defined in terms of DNA variants, rather than customs, language, family and home. 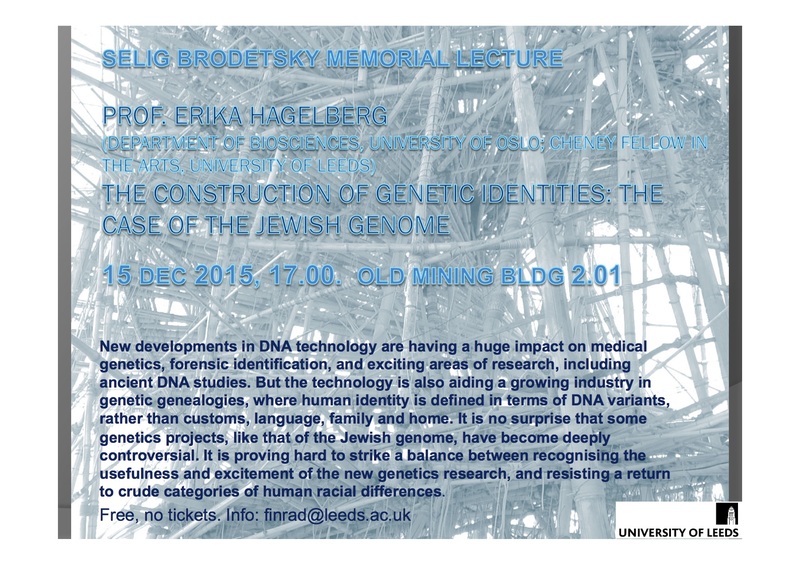 It is no surprise that some genetics projects, like that of the Jewish genome, have become deeply controversial. It is proving hard to strike a balance between recognising the usefulness and excitement of the new genetics research, and resisting a return to crude categories of human racial differences. Previous Post Previous post: MA Fees bursaries in Jewish Studies at the University of Manchester, 2016-17.